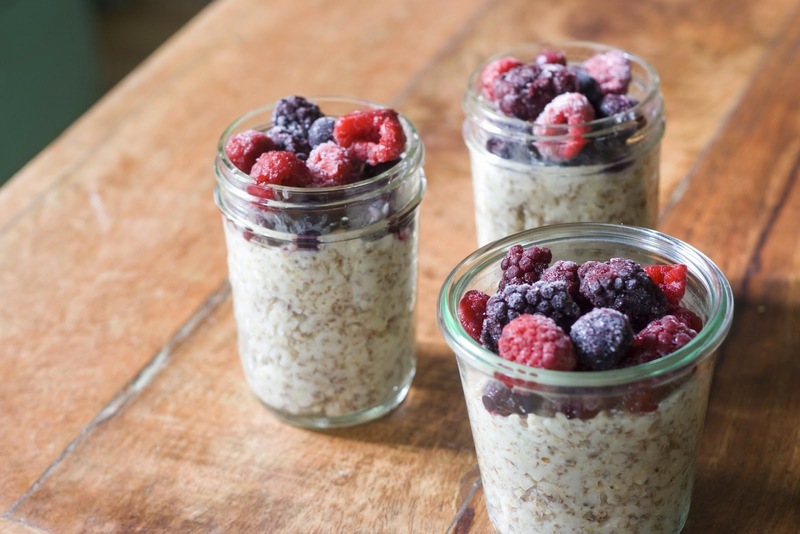 As I love experimenting with food and especially breakfast and dessert, I decided to share my 3 favourite oatmeal recipes with you! Because who wants to eat the same bread every morning while oatmeal is a much healthier way to start your day? I must admit that in the beginning I didn't like oatmeal at all because it's so sticky and warm. I prefer refreshing breakfasts so I tried lots of recipes but my problem was that I liked everything except the oatmeal.. So here you have 3 recipes I absolutely love, even with the oatmeal! your oatmeal is ready to eat the next morning! bake the oatmeal in a frying pan for about 10 minutes until the oatmeal is a bit brown and smells like popcorn. Put the oatmeal in a bowl. Put the milk and the water in the frying pan, add the vanilla sugar and the cinnamon. Put the pan somewhere else just before it starts to boil. Add the oatmeal and cover the mixture. Do not touch for 10 minutes. Your oatmeal is ready! Put it in a bowl and add frozen berries for a refreshing touch. 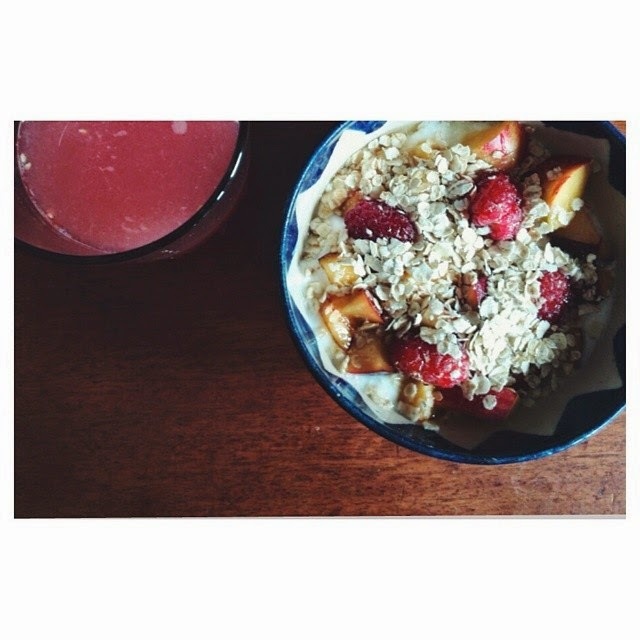 put the greek yoghurt in a bowl and top with the raspberries, peach, oatmeal and honey!